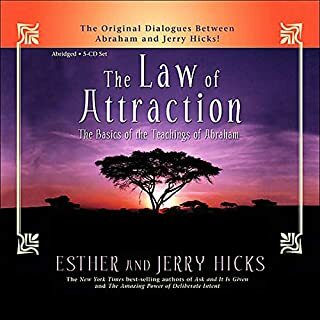 Was a good listen until..
Story got off to a convincing start until the moment, Esther, started speaking in a terrible accent while channelling, Abraham. I almost fell off my seat laughing at the absurdity of it all. She keeps raising her voice till the audio is clipping and distorting. It's horrible. Fair call, there is a good message here but the delivery is insanely obnoxious, preachy and tacky. The only thing this audio-book attracts from me is Ire. This would make for a better read.